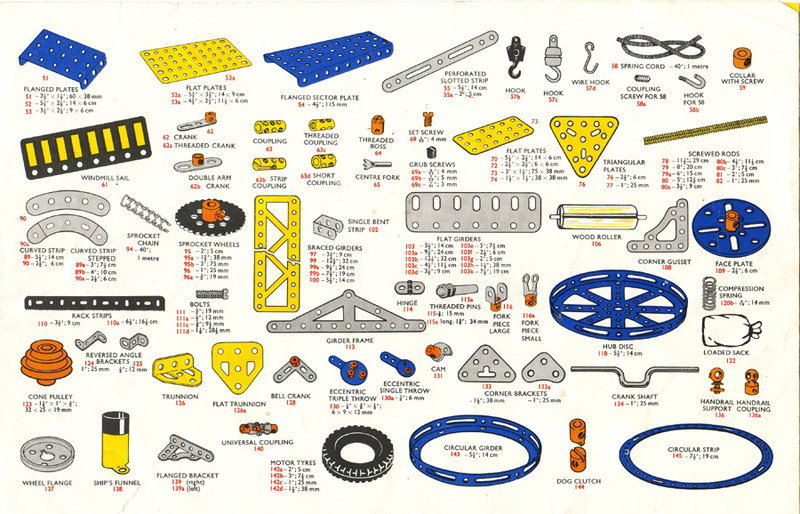 This is the complete range of Meccano parts that were available in 1973 but is typical of the range from 1937. The grey parts were finished in zinc plating, golden yellow parts are brass. 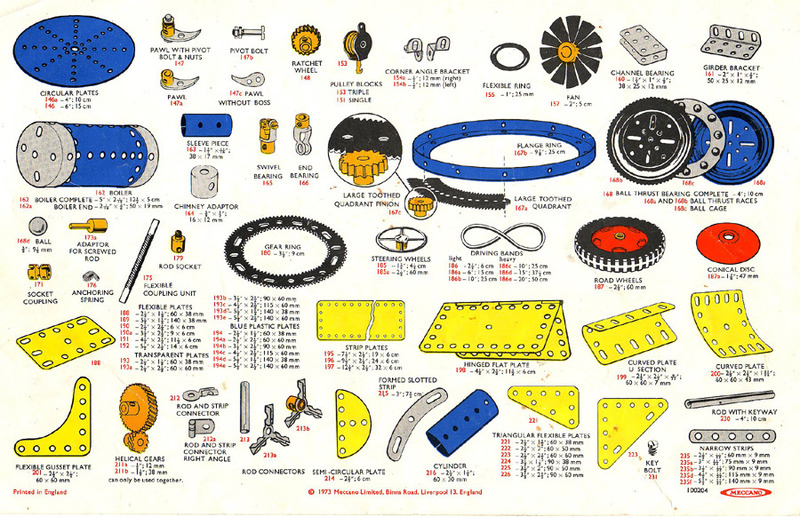 Very few parts were added by Meccano Ltd. after 1973, this list had hardly changed in the previous ten years. The last significant introduction of new parts was between 1962 -1963. This range of parts still form the basis of most Meccano model construction by those engaged in the hobby. The parts now made by Meccano are only those required in the current set range. 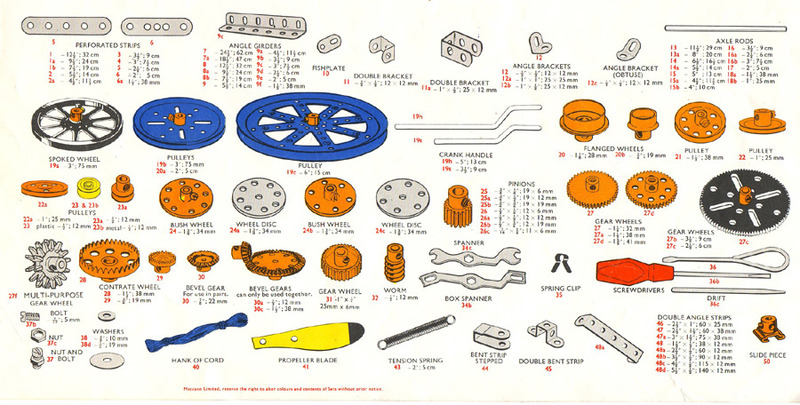 Many of the parts illustrated below are no longer made, most gears are now plastic. Many new, mainly small parts have been produced by Meccano in recent years they are often variations on the parts below. However many other producers between them make almost all of these 1973 parts and many variations. See where to buy Meccano for lists of some of these suppliers. Back to Alan's Meccano main page.